We are updating all of our labels on all of our products. You will find new block bottom packaging on our 2 lb. flour products. We are diligently upgrading our sticker systems for all of our products from 2 lb to 50 lb.. Thankfully we have very patient employees and a wonderful graphic designer to help us wade through all the details that this requires. Speaking of a new look, we hope to launch our new website and online store interface in the next month. This tremendous, bear of a project, is nearing its end and we are excited to share a much smoother, dynamic online experience with our customers. You will find new photos, new content, and a much simpler, smoother shopping experience. If you are a returning online customer you will have to create a new account within our store; we are not able to import old account information. A new feature that we will be offering is the ability for our wholesale customers to place their orders online! It’s time for honey on your biscuits! Our neighbors, Back 40 Honey, have finished harvesting and have resupplied us with 2014 pure, untreated Methow honey. 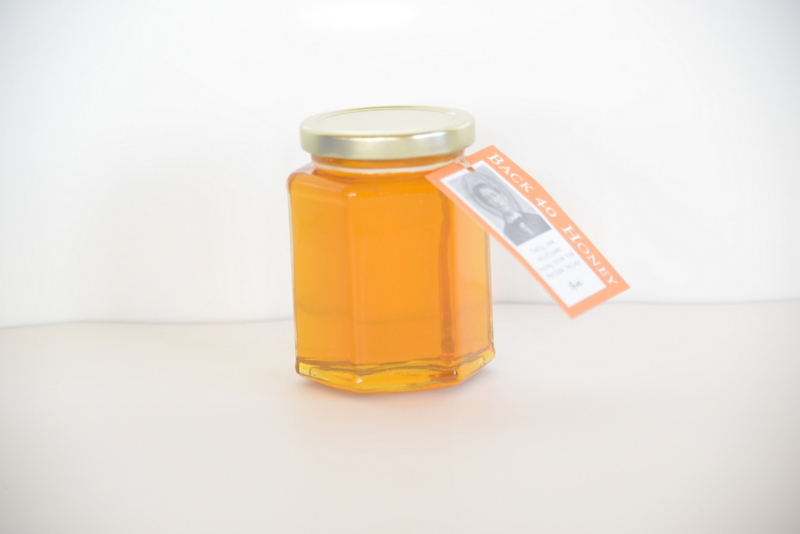 We have been out of stock for most of the summer due to a lot of their hives being lost in 2013. Let’s hear it for the Bees! 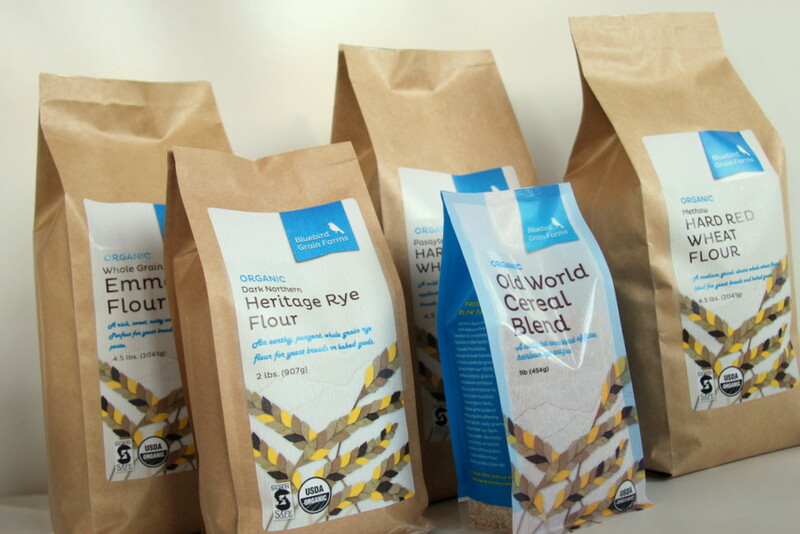 A fruitful harvest has now resupplied us with whole grain Einka farro and Einka flour! We now are offering the flour in 20 lb. units. If you have not tried this flour, I highly recommend it. It is a wonderful pastry flour with just a trace of gluten. The Ruffled Apple Brandy Cake that is featured this month is made from Einka Flour. Please think of us when you are shopping for the holidays! 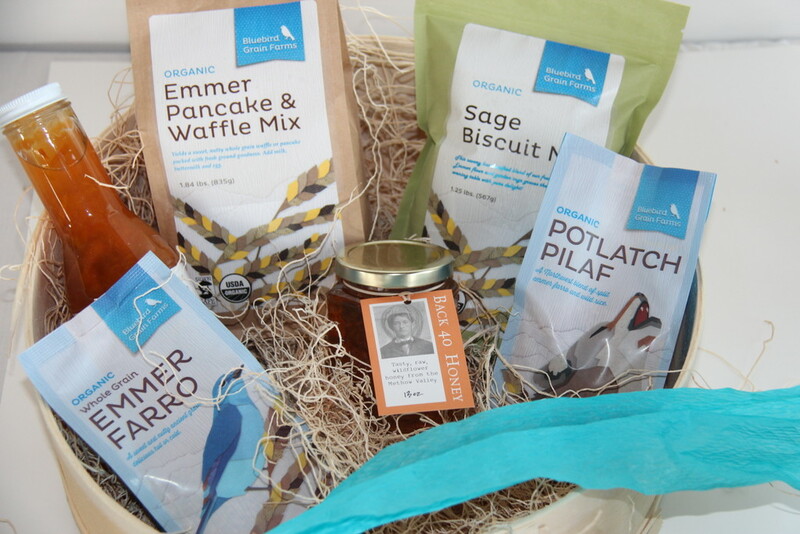 We offer gift boxes along with subscriptions to our CSA (a monthly delivery of our grains). We also offer gift certificates.